Veterans Dining Pavillion (1886-1950?) in 1897. Weirs Beach’s first “Pavillion”. Later, the Winnipesaukee Marketplace was known as the “Food Pavilion” from 1988-2000. (The correct spelling of the word “Pavilion” is with only one “L”.) 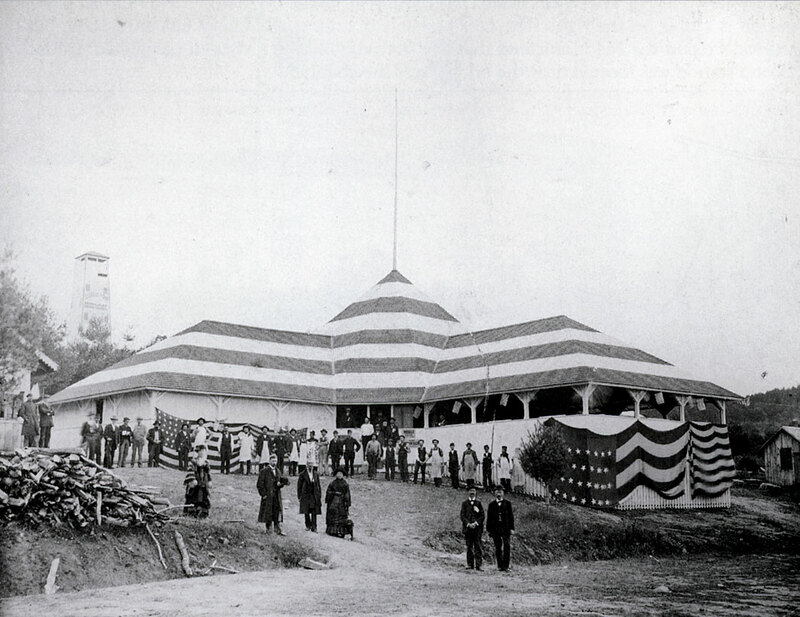 Although one can’t tell from the black and white photo below, the Pavillion was painted red, white and blue. 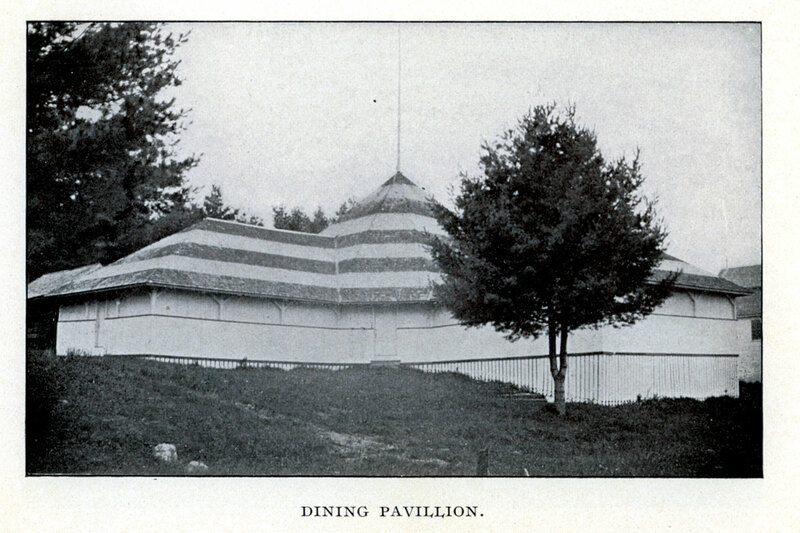 An earlier view of the Dining Pavillion, circa 1883. The observatory on the upper left of the photo was built in 1881. 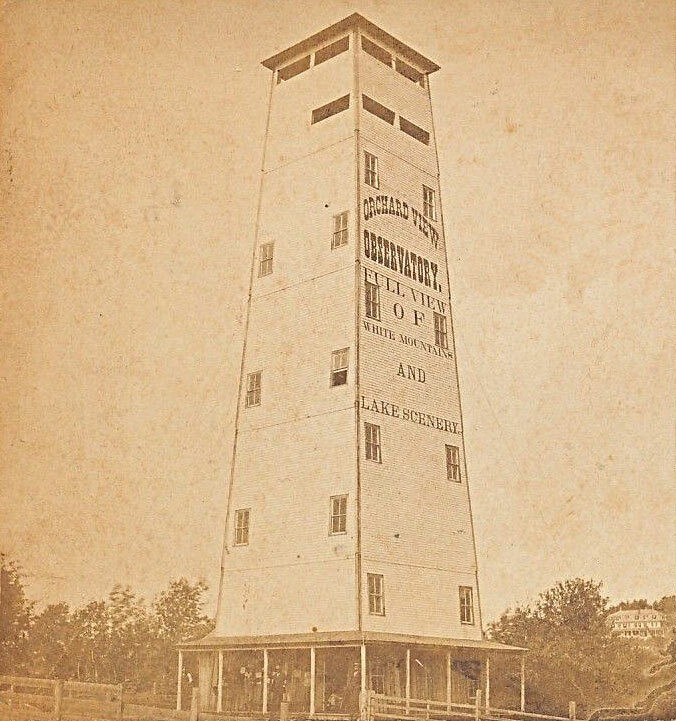 It was known as the Orchard View Observatory and was the tower for which Tower Street was named. In late November, 1883, a strong wind storm shifted the Observatory a foot and a half off of its foundation, but the structure held together and its footings were repaired. 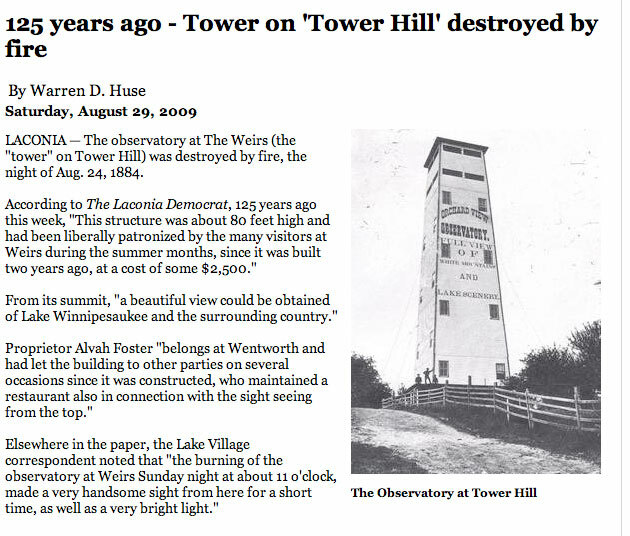 The Observatory burned down on August 24, 1884. Below, a view of the Observatory from a stereoscope card by the Weirs Photograph Co. (photographers T.C. Moon and F.J. Moulton). The Winnicoette hotel can be seen in the distance on the lower right. 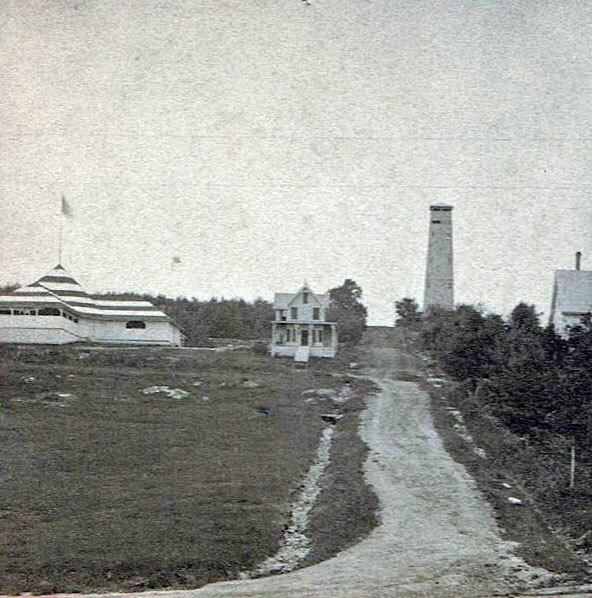 Below, a view of Tower St, the Lakeview House, the dining hall, and the observatory. From a stereoview by Geo. H. Tebbetts. 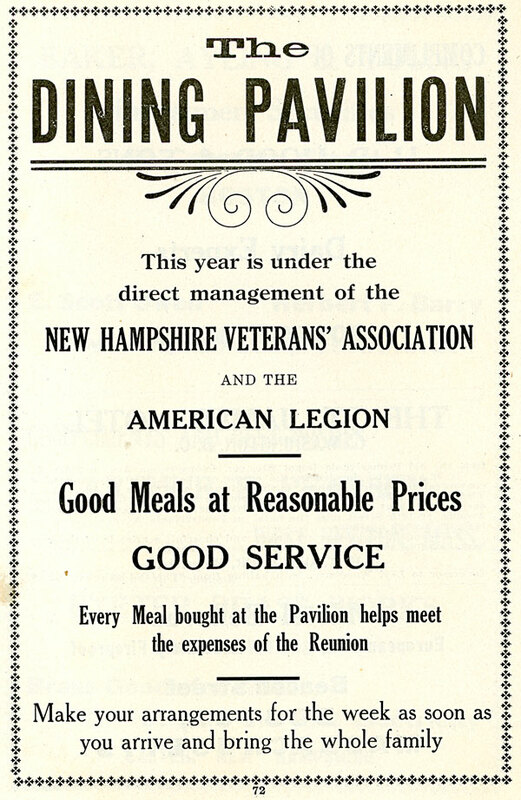 Below, an ad appearing in the 1919 reunion program.